Don't let the microwave draw you away from reheating seafood properly. 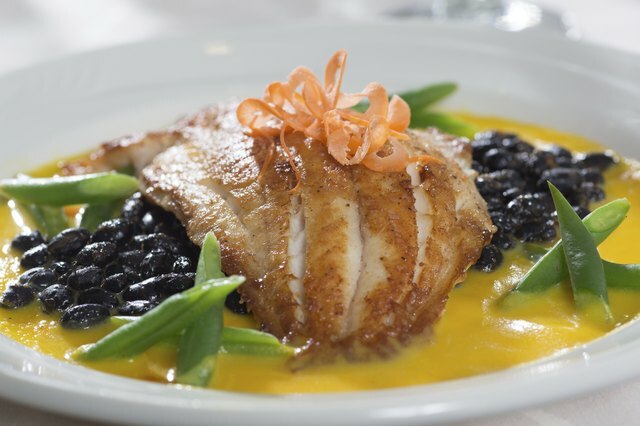 The texture of fish -- and your palate -- will suffer if you do. 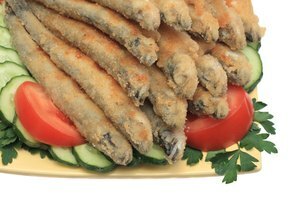 Heat fish gently using moist heat. 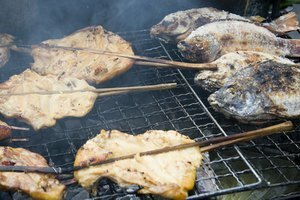 Fish loses tenderness at around 135 degrees Fahrenheit, and you have to reheat it to 165 F for safe consumption. Take it easy, bring your leftover fish to its safe internal temperature and enjoy your leftovers -- they're only good once. Set your oven to 375 degrees Fahrenheit. 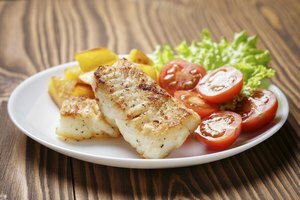 Arrange leftover breaded fish in a lightly oiled dish and gently blot any moisture from its surface. Bake the fish until the coating is crisp, about 12 to 15 minutes; turn the fish over halfway through reheating. Check for an internal temperature of 165 F using an instant-read thermometer. 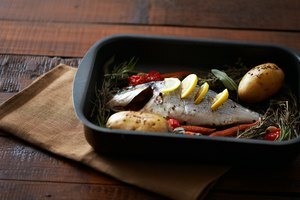 Heat the oven to 375 F. Place each piece of leftover cooked fish on an oversized piece of parchment paper or aluminum foil. Sprinkle about 1/2 tablespoon of water or melted butter over the fish. Fold the edges of the parchment or foil into a parcel around the fish; wrap it loosely to give the fish room to bathe in steam. Place the fish in a shallow dish and bake it for 12 to 15 minutes, or until it reaches an internal temperature of 165 F.